Content Management System (CMS) allows publishing, editing and modifying the content of a website from a central interface to all the authorized users. It also enables your website to stay fresh with page updates and gives search engine optimization. With all the advancement, the real purpose of Content Management System is to publish information on the website. Its functionality ranges from having a few features to more complex and powerful utilities. The CMS has evolved to such a stage where it is more collaborative. Website development was looked upon as a software professional’s forte in early stages but now horizon has expanded bringing designers, coders and content writers under it. Web Content Management System: Used where a standalone application is required to create, manage, store and organize the website content. Web content may have photos, videos, audios and text to interact with users. Indexing, assembling the content at runtime and delivering the requested content to the user are the three main functionalities of Web Content Management System. Web CMS is a boon to non-technical users as it enables them to edit their website without actually knowing hardcoding. Component Content Management System: Content here is more structured and is called as a component. Every component has its own lifecycle of Authoring, Versioning, Approving and Using. In addition to versioning, Component Content Management System helps tracking relationships of the content like graphics, text etc. with each other. Enterprise Content Management System: As the name suggests Enterprise Content Management System, deals with huge data, primarily of bigger enterprises. It involves organizing day to day documents of an enterprise through structured methodology. The content management application which is one of the parts of Enterprise Content Management System helps the user to add, modify and remove the content without practical intervention of web administrator. The content delivery application gathers the information, compiles it and displays it on the website. Many sites have a hard time protecting against malicious users. Every site will come under attack at one point or another and a good CMS will help your security stay updated and above the attacks. If you are using a popular open source CMS, you have the power of thousands of developers who are taking an active interest in keeping unwanted users out. You also have the peace of mind knowing that the core of your website has been tested to be secure on millions of other websites. 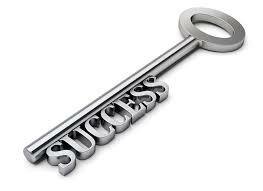 There are many tools that can help you administer your content in a way that gets real results from search engines. There is a lot that goes into having content that is friendly to search engines like Google, but a CMS will do the technical work for you (creating XML sitemaps, monitoring keyword usage, etc…) allowing you to focus on more important aspects of your business. Forget about the mysteries of SEO, your CMS will help your site to be found without you doing a thing. Old ‘static’ websites forced you have to have to edit your content with external tools like Dreamweaver and an FTP client, tying you down to a handful of computers with the appropriate software. With a CMS, you only need a web browser and an internet connection. This allows you to update your site from anywhere, anytime, even from your smartphone! The tools that come with a content management system provides everything you are used to seeing in Microsoft Word or Pages. Bolding, italicizing, underlining, and aligning text is all easily done with the click of a button. There is no need to know a markup language to format your content. Inserting images is even a drag and drop process, all you need to do is decide where to put them. All of your content is stored in a database, where it is safe and easily accessible. Instead of being placed in ‘static’ files, where you would have to copy and paste the text you want into every webpage you want it, your content can be placed anywhere you want and as many times as you want on your site while only typing it out once. Database storage is useful for showing recent posts, updates, or even for having testimonials in multiple pages. This makes updating the content on your site quick, easy, and in only one place. One update to the navigation or tagline changes it for all your pages on the site. If you have an upcoming event or are launching a product on a specific date, you can write all of your content for the event and set the release date on your site. No need to stay up until midnight to post that important announcement. 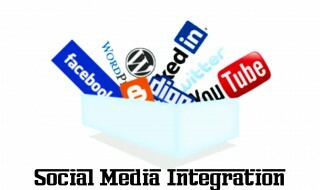 Many popular content management systems will integrate with social media platforms such as Facebook and Twitter. This is helpful if you are relaying content to social media sites, or if you just want to provide an easy way for your users to comment. If you have multiple people in your organization that would like to update content on the site, you can give them each an account and even preview the content before it is published. Different user levels allow you to assign tasks to multiple people and not worry about any of them overriding each others work. This relates to reason #5, but deserves it’s own. Since all of your content is stored in a database you can change the design or template of your site, and still keep all of your pages, posts, and comments. Any thing you see on your site can be easily maintained by you. If you don’t like the way something is worded 8 months from now, you can log in and change it without having to call a developer. 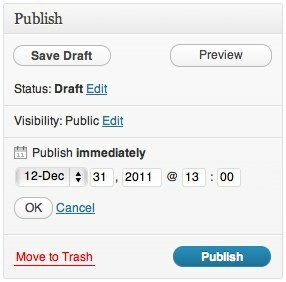 No more waiting on anyone to update your content, take the control back into your hands. What do you lose out on if you don’t have a CMS? Control and time. 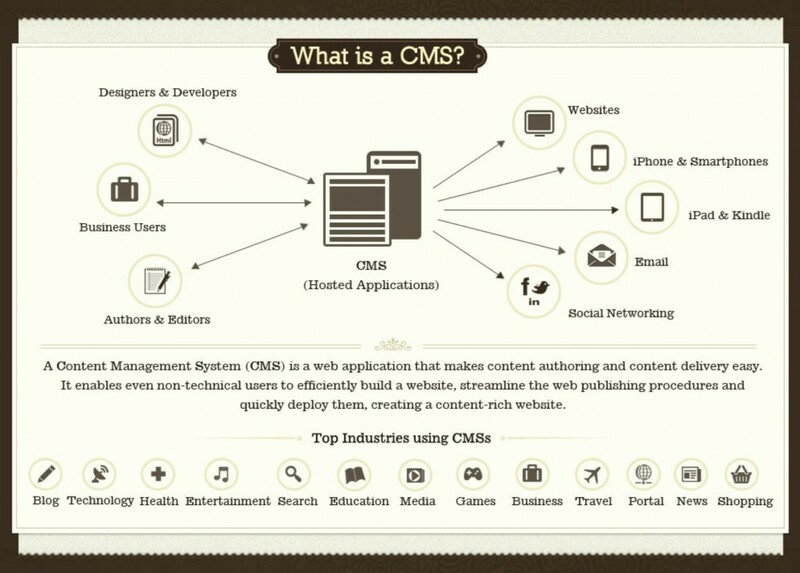 Without a CMS you are dependent on a developer with the right tools or knowledge to maintain your website. If you already know HTML and have the tools necessary to update your site, you are still losing time. A CMS change can be made within seconds, without a need to edit files or use FTP applications. It’s important that you spend your time writing useful content and managing your business. Using a CMS is quick, easy, powerful, and a no-brainer. Some Content Management Platforms like Drupal, WordPress, Joomla! are open source while for others minimal cost can be incurred. A Centralized system brings all your data under one section which serves as centralized repository. Without any such system, the data might get scattered resulting in redundancy.